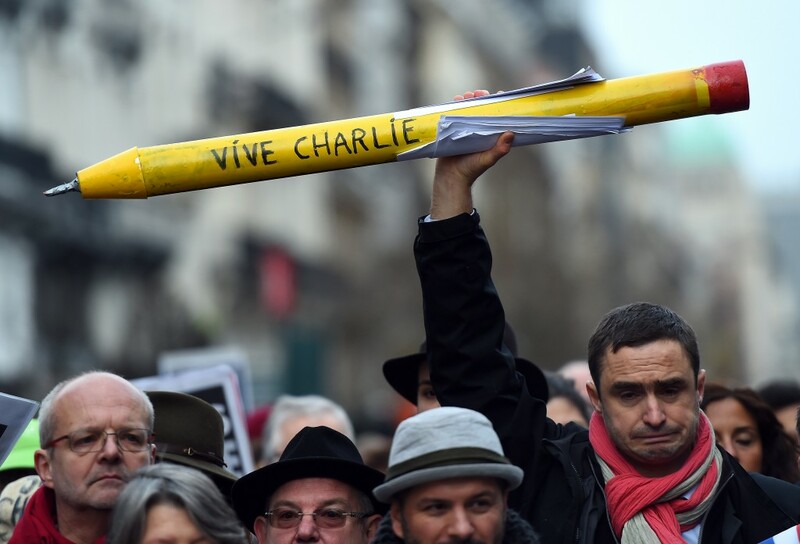 Over one million people poured into the streets of Paris on Sunday in a march to honor the victims of three days of violence which began with the massacre of 12 people at the satirical magazine Charlie Hebdo on Wednesday. A total of 17 people were killed in what has been described as the worst terror attack on French soil in decades. 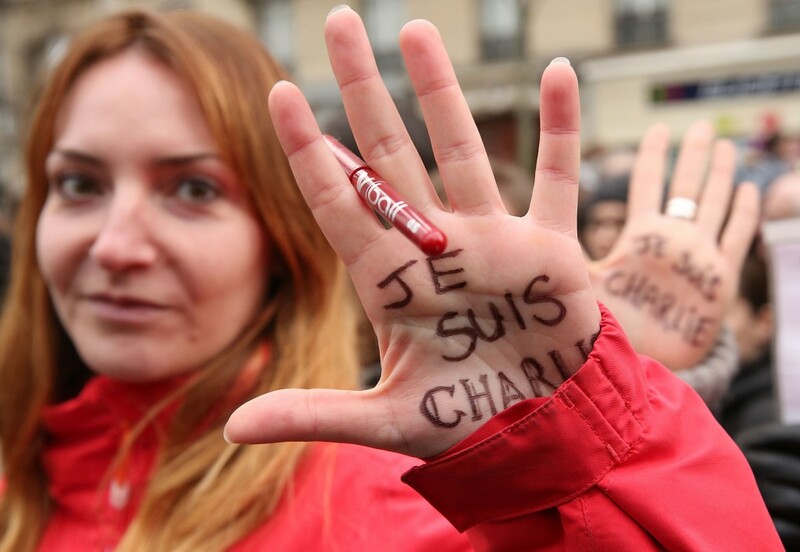 The rally for unity is said to be the largest demonstration in French history. A ministry spokesman said between 1.2 and 1.6 million people participated in Paris, and that 2.5 million marched in other cities across France, Reuters reported. 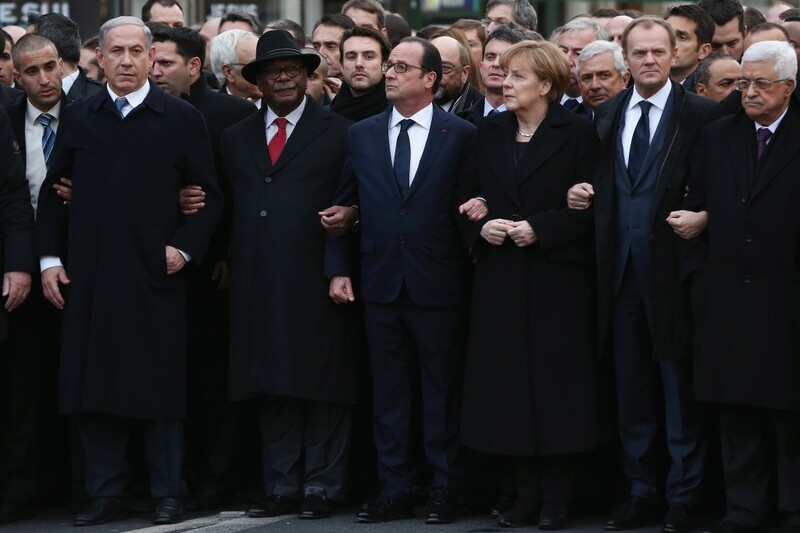 World leaders from across Europe as well as Israel and the Palestinian territories linked arms with President Francois Hollande of France at the head of the march, which began at Place de la République in central Paris. “Paris is today the capital of the world. 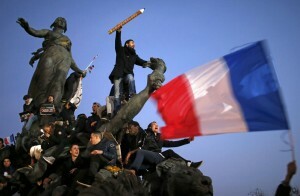 Our entire country will rise up and show its best side,” Hollande said in a statement. The rally was held to show “the power, the dignity of the French people who will be shouting out of love of freedom and tolerance,” Prime Minister Manuel Valls said Saturday. Amid a heavy security presence — which included over 2,000 police officers and soldiers — marchers waving French flags and carrying oversized pencils made their way down Boulevard Voltaire in the city’s 11th district. Police snipers were stationed on rooftops and security officials searched city sewers ahead of the march, Reuters reported. Underground subway stations were closed down along the route. On Saturday evening a German newspaper that reprinted satirical cartoons by Charlie Hedbo in a show of solidarity was hit by arsonists, raising tensions ahead of the march. Two people were arrested for throwing an incendiary device into the building of the Hamburger Morgenpost daily, Reuters reported. No one was in the building at the time of the firebombing. Hamburg police said it was “too soon” to tell if there was a connection between the arson attack and the newspaper’s Charlie Hebdo tribute, Agence France-Presse reported. 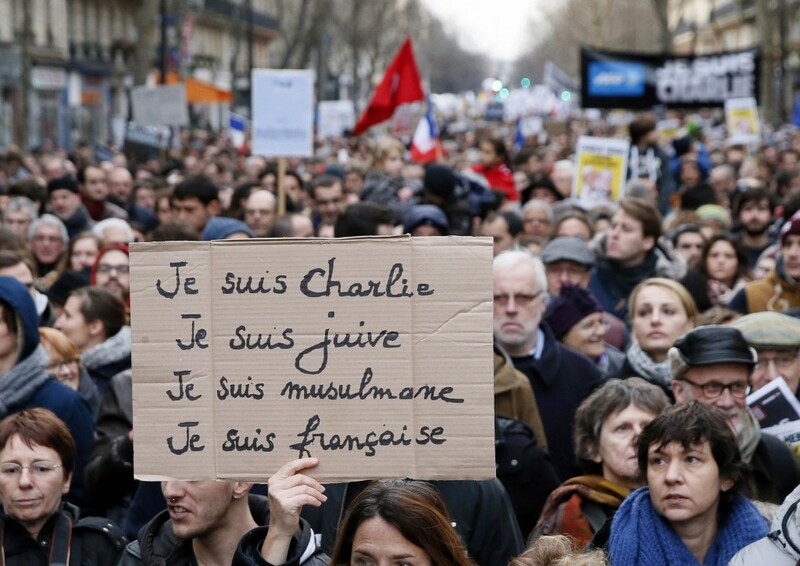 Elsewhere in Europe, solidarity marches were held in cities from Berlin to Brussels. 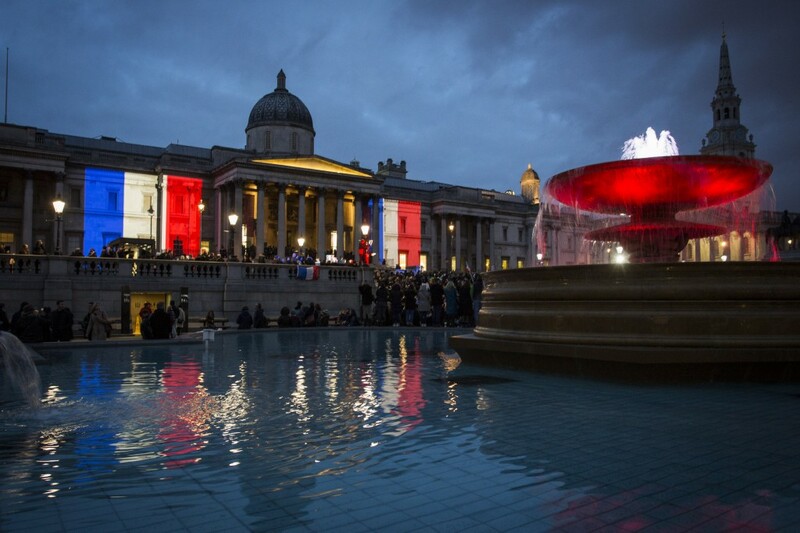 In London, iconic landmarks including the Tower Bridge and National Gallery were lit up with the colors of the French flag, as a tribute to the victims. 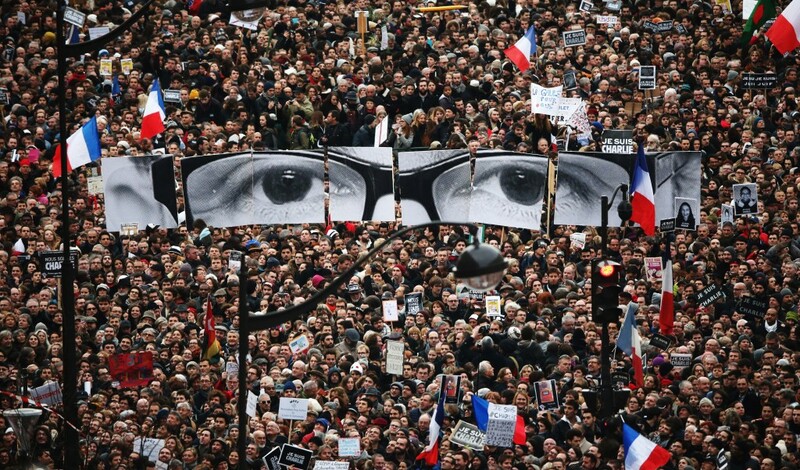 In the days following the terror attacks in Paris, demonstrators have gathered in city streets across the globe in defense of freedom of the press. 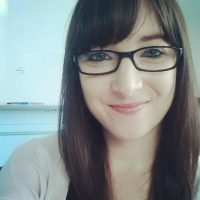 Elisabeth Ponsot (Beth) is the Digital News Editor at PBS NewsHour Weekend, where she oversees the program's online team. Carey Reed assists in covering breaking and feature news for NewsHour Weekend's website. She also helps the NewsHour Weekend broadcast team in the production of the show. 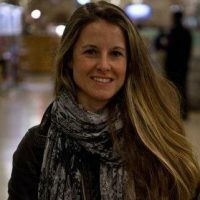 She is interested in the flourishing fields of data journalism and information visualization and recently graduated, with honors, from Columbia University’s Graduate School of Journalism.